there are several videos on Utube, it appears using pantyhose or cheesecloth is easier. Those are beautiful! My gramma used to dye her eggs with onion skins, but I don't recall her having such a complicated process. Me? I don't need to dye my aigs. Yeah, the boiling them with skins in the pot looks a lot easier. I used onion skins to dye eggs (at Pascha) years ago when I first became Orthodox. 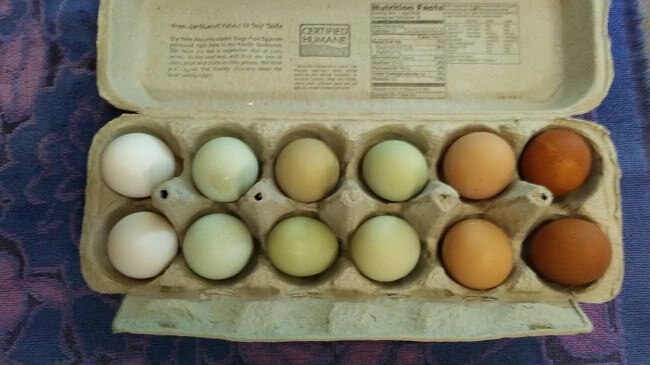 They turned out rather like Glinda's undyed eggs. Very pretty but not quite what I was aiming for. The process is messy and time-consuming, so I ended up taking the more-traveled road with commercial dye.